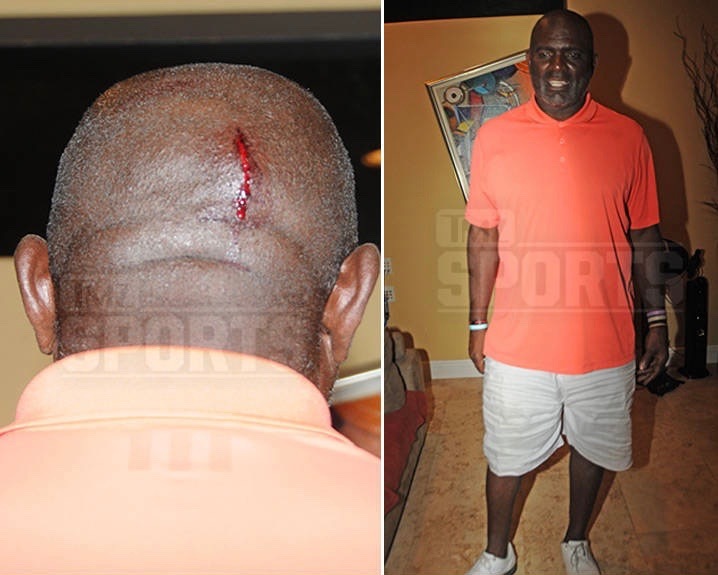 *A photo has surfaced of the wound suffered by Lawrence Taylor in the alleged domestic violence incident that resulted in the arrest of his wife. As previously reported, Lynette Taylor admitted throwing an object at the back of her husband’s head. LT did not want to press charges, but she was arrested anyway and booked for battery and resisting arrest. She’s entered a not guilty plea. Among the pictures posted by TMZ is one showing a “3-inch laceration” in the back of Taylor’s head. Other pics also show Lawrence with extremely bloodshot eyes. Police have said alcohol was a factor in the argument. The photos were taken by police who responded to the Taylors’ home last week in Pembroke Pines, FL.